You might think this could be a “fake news” blog post, but we promise it’s not! 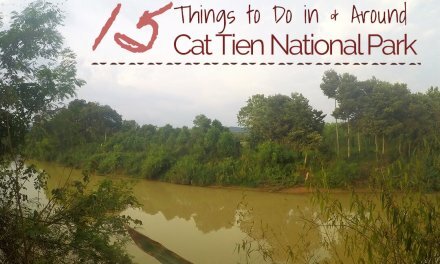 If you are a Digital Nomad living in Asia who wants to do some exploring or a tourist planning your vacation to Southeast Asia, this article is a must read. This is not a product endorsement that we get paid for, this is just an epic airline promotion that you need to know about. You will not find this pass linked anywhere on the website of AirAsia unless you specifically search Google for it. 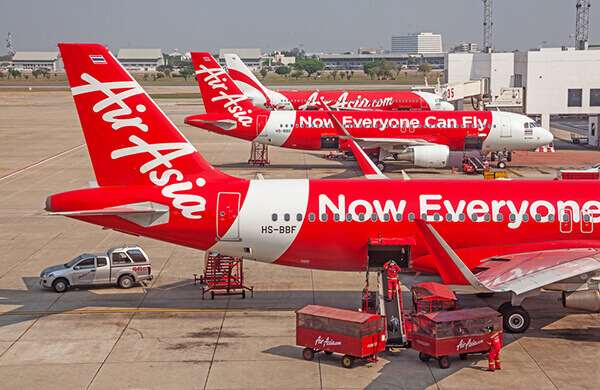 What is the AirAsia ASEAN Pass? 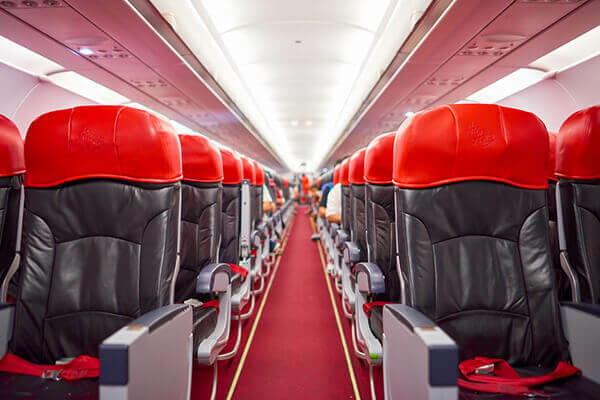 The AirAsia ASEAN is only the best invention for travelers. You can choose from 2 pass options. For $160 USD you get 10 credits to be used in 30 Days. 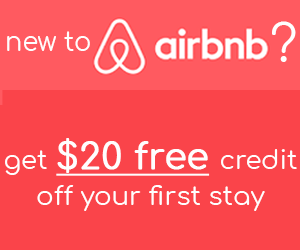 The second option is for $290 you get 20 credits to be used over 60 days. 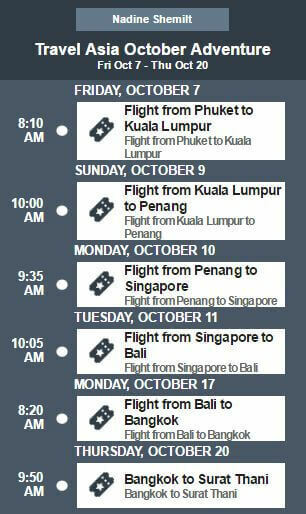 Each flight costs 1 or 3 credits, and you are able to fly Malaysia, Thailand, Singapore, Philippines, Indonesia and more. There are over 70 destinations that you can fly to with this pass, find the full list here. 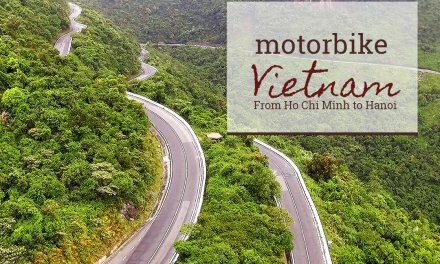 AirAsia doesn’t cover all of the 70 destinations on their page, we were delightfully surprised after purchasing to find additional destinations like Cambodia and Vietnam also available. You can book your travel without having to worry about the prices of your flights fluctuating or how far in advance to book. No matter what the price of the ticket is that day, your airline price is only deducted as “credits” from your total pass credit. Your pass is valid for a year from the date of purchase and all of your credits must be used within the 30 or 60 days after you redeem your first flight. What does ASEAN stand for? The only unknown caveat of the AirAsia ASEAN pass is that it does not include the applicable airport taxes and fees. For your budgeting this can be difficult because each airport and country is different. For example, Signapore was our highest fee with almost $30. The rest of our flights were an average of $5. So we paid approximate $50 in airline taxes and fees. Bringing the grand total of our 7 flights to $210usd. That’s an average of $30 a flight!! I won’t break down into too many comparison details, but getting from Thailand to Bali can be a more expensive flight, I easily see them for around $200 one way. That one flight is the same price of the pass in itself. There is fine print to this deal that you need to be aware of. It’s not a deal breaker type of fine print. Here are the main highlights you need to know for the fine print, you can find the rest of the airline FAQ’s for the answers on cancellations, delay’s etc. – You must book your flight 14 days in advance. We suggest booking a little farther in advance if possible, because we did run into some flights that were already full in our scheduling that required us to redo our route. – Airport fees and taxes are not included and must be paid additionally at the time of your booking. – You must use all 10 credits within the 30 days. – If travelling together, with these passes, you are not guaranteed to be sitting together. – Each route can only be redeemed once. You cannot use this for back and forth round trips. We flew from Phuket to Kuala Lumpur, Kuala Lumpur to Penang (we got this flight for $11 so didn’t book as part of the pass), from Penang to Singapore, Singapore to Bali, Bali to Bangkok, Bangkok to Surat Thani. We then had a flight pass left over so a couple weeks later we took a trip to Koh Samui. For $160usd!! We heard from a lot of friends that flight travel in Asia was pretty affordable. That is very true. An average flight is between $50 to $100. The original flight we were looking at booking was from Phuket to Kuala Lumpur, and the price was $79 each one-way. So the return was going to be only $10 less than what the whole AirAsia ASEAN pass cost us. Have you bought it yet? So you might be thinking, this sounds too good to be true. Your mind might be escaping you thinking of the most run down airline you can think of. With one of those crappy airplanes that you are doubtful will even make it off the runway. Or what type of add-on’s you are going to get gouged with so it equals the same price anyway. You might be thinking of your friends horror stories about their worst travel experiences. We have redeemed this pass, and can say we were delightfully surprised! It looked like all the planes that we took while travelling with AirAsia were almost brand new. Each one had that new plane smell inside. The features of the plane were better than what you might have found on full service airlines. All the seats were a new black leather in a nice brand new interior. The service was fantastic with smiling attendents. You notice you are flying budget in a couple ways, the seats are fairly close together so leg room is tight. There are no “frills”. Other airlines in Asia, provide a meal and refreshments for your flight no matter how long the flight. We once received a full meal for a 45 minute flight, barely enough time to finish the meal. But if you have a 4 hour flight from Singapore to Bali, you can choose to upgrade to have an in-flight meal for $4. Let’s be serious, you can’t even get a meal for that in the airport! You can also choose your seat selection for a fee at the time of booking as well. Being a budget airline like our friends Wow AIr Review all tickets booked through AirAsia do not include checked baggage. When you check in online for your flight, you are required to print your ticket yourself. If you don’t print your ticket, you are charged a printing fee at the time of checkout. However, if you print your boarding pass and don’t have a checked baggage, you can save time. You are able to skip the first check-in line all together and go directly through customs and onto the boarding area. This can save you a bunch of time so once through customs you can be enjoying a coffee while waiting to board. What about your Baggage on AirAsia? Ok, now you must be thinking, this is where the other foot drops. The price is going to be crazy for anyone wanting to travel with checked baggage. Not so! The price of the checked baggage is very affordable. Maybe my opinion is only formed because of flying in North America and International airlines that the prices for additional weights start at $100 bucks. For our 25 kg checked baggage we paid approximately $16! 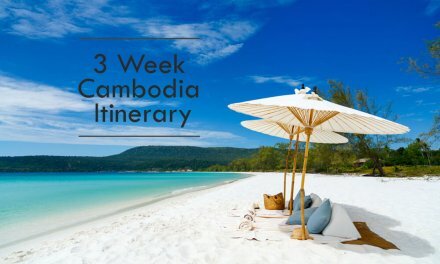 PreviousThe Best 3 Week Thailand Travel Planning Guide For Backpackers!